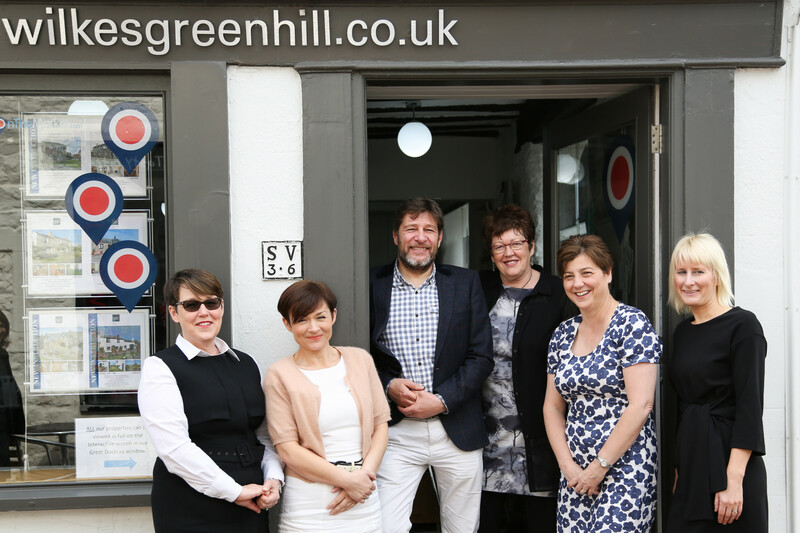 Wilkes Green and Hill was set up by Adrian Wilkes-Green, who had been managing the Penrith office of a national estate agent, and Nick Hill, who had many years experience in financial services with Allied Dunbar. The business opened on 4th July 1996 - Independence Day being the obvious date to launch a new independent estate agent! From the start, the business has worked to combine the best professional techniques of large national agents with the high level of personal service and local knowledge of an independent. There were already seven estate agents in Penrith when the business started. To succeed it was clear that the team would have to work hard and deliver a quality service. The approach has stood us in good stead and a large proportion of their business comes from referrals and repeat clients. We are extremely proud to be the only estate agent in Cumbria to be recognised in the Estate Agent of the Year awards in each year from 2004 to 2013. These awards are based on independent surveys of clients of many estate agents from all over the country. In effect, they are a vote of confidence from clients - and this makes it particularly pleasing to receive these awards. The business has gone from strength to strength, a lettings department was opened in 2011, headed by Joyce Roberts, who has over 20 years of experience in the property industry, offering a full managed and non-managed letting service. New 2017 will be the Wilkes-Green + Hill Commercial Department. Ian Loftus is joining us and with his experience in both corporate and commercial, specialising in IT, manufacturing, hospitality and automotive, he is ideally placed to guide businesses through transition, including management buyout, acquisition and share sale or disposal. With his contacts in the profession he is confident that if he ‘doesn’t know, he knows someone that does. Nick Hill has now retired from estate agency to concentrate on running Eden Mortgages, offering free and independent mortgage advice. The photo on this page shows Adrian Wilkes-Green and the team with the silver award the firm won in the 2008 Estate Agent of the Year event in London.